If you were to ask me if there was any one excursion or activity that represented this whole season in my life, one word comes to mind: CANOPY ZIPLINE. Firstly they hook you up to a harness and get you to sit in it. Then one feels the exhilarating feeling of being raised higher and higher into the air. Until you look down and the jungle floor is starting to look like a dot. Within minutes one finds themselves 40 meters above ground level and being helped onto the actual platform where the zipline is. All the butterflies in your stomach start to bounce around as if they were playing in one of those big bouncy castles. 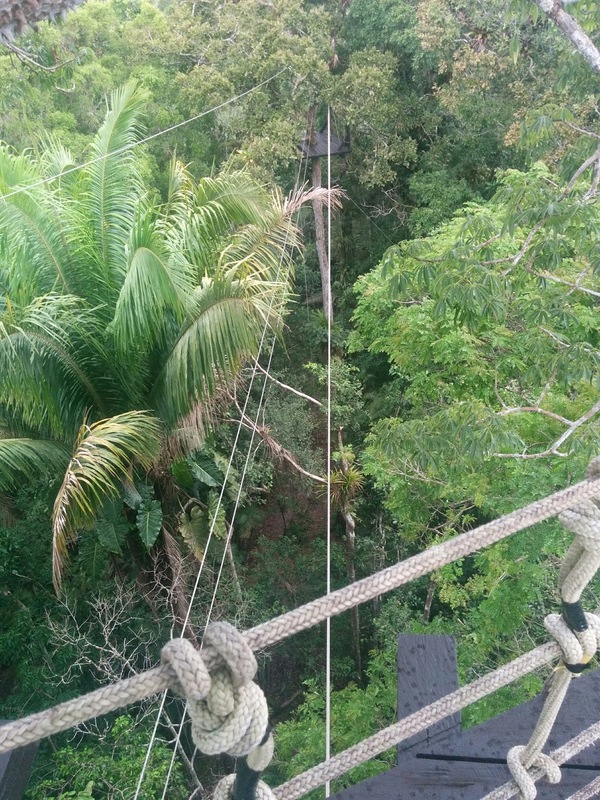 After being hooked up to the zipline itself you are then told to JUMP. It's at this point that some visitors start crying and there have been a few (very rare) that actually can't go through with it. But the ones that do jump are rewarded with an up-close and personal encounter with nature that is beyond ethereal. So much of this parallels my journey of making an exodus from Vancouver and giving my all mentally, emotionally, spiritually, financially to make that daring jump and do all God has called me to do. There was no guarantees if by making this move it would be the biggest mistake of my life or leaping off the diving board into one of the richest experiences one could possibly have. 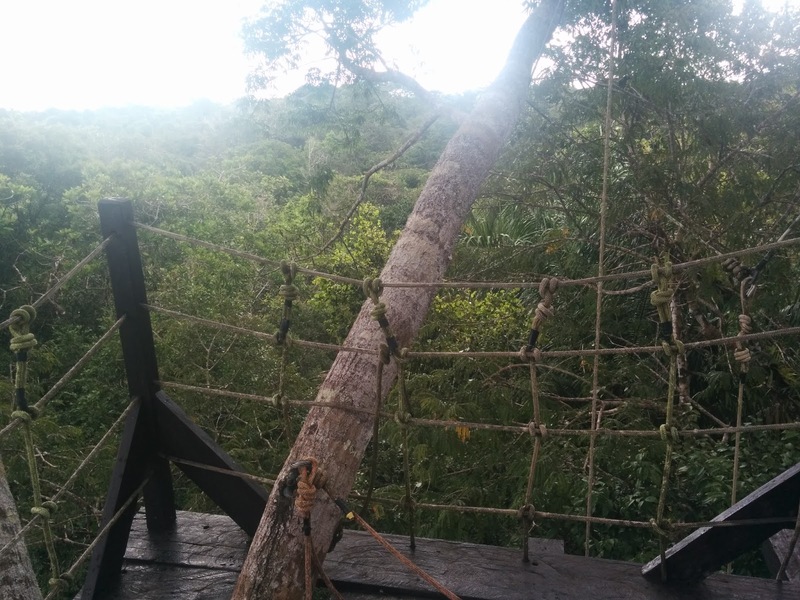 Trust is a theme that is woven into both the experience of being on the canopy zipline and the journey of making this incredible adventure happen. My guides securely hook me up then give me the thumbs up signal that it is OK to jump. They've done this a million times with so many visitors and not one accident. 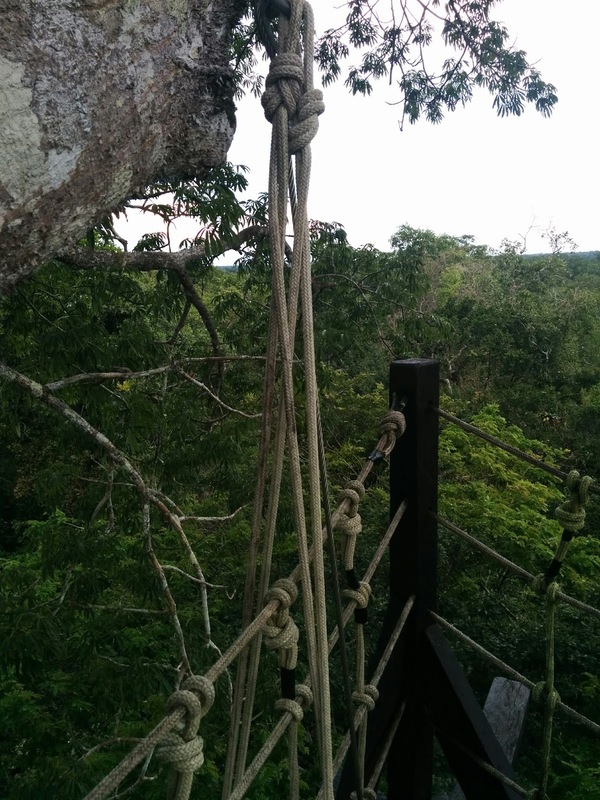 Yet I'm 40 feet above the jungle floor and anything that goes wrong would be instant death my head tells me. My emotions are whirling around like laundry in a washing machine. Thus begins a terrifying yet tantalizing tango with trust. Even before I got to the jungle, there were many signs along the way that this was the path. Many of the things I needed like knee high socks, insect repellent, a hat with a brim, raincoat, flights from Santiago to Lima etc. All these things I would find deeply discounted or on clearance. Yet with all these signs my inner doubts pounded within my mind like a noisy construction drill. However, in the end I chose to trust and clear those doubts out of my mind the same way my jungle guides clear the bush with one whack of a machete. The cost to come as a volunteer may have been 75 USD a day but the return on the price that I paid is an infinite times what I paid out. Witnessing the inaugaration of a new school wing, enriching the lives of the village of Chino with the language of english are only the beginning. There were intimate and lively chats with visitors to the lodge and daily excursions where I got an up-close and personal encounter with nature Three times a day my body was filled with wholesome food from a buffet that looks fit for royalty. Pure wholesome food coupled with frequent hikes in the jungle and my health soared like squirrel monkeys leaping from treetops. 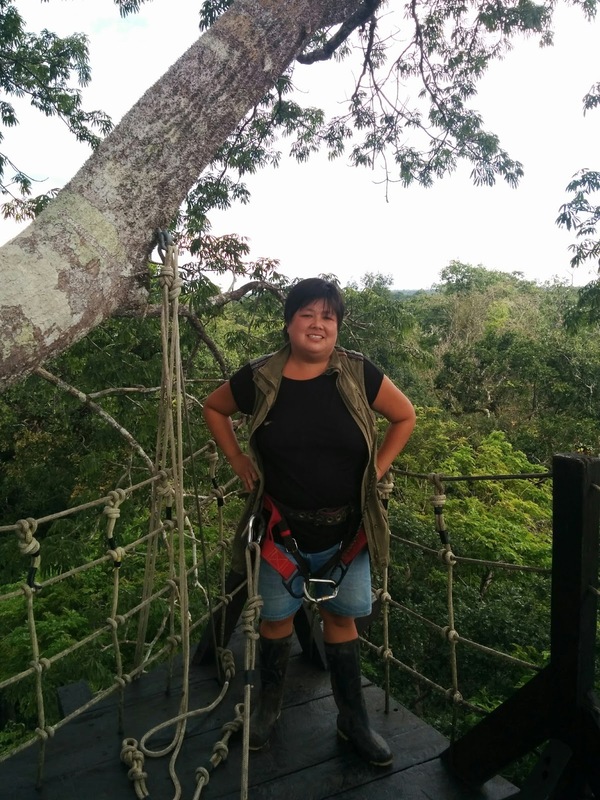 Truthfully, hanging 40 meters above the jungle floor in a harness was actually the safest place I could possibly be even if my head was trying to tell me something else. The same is true with life, there is no real security in any one thing whether it would be money, job, home or stability. A lesson life has taught me is that the most secure place you'll ever be is that place where you're meant to be. There was more safety and security in me giving up everything and going to the jungle there ever would have been staying on and holding on to shreds of things that no longer served me. The most interesting part about the zipline experience is that you don't just jump once and are done with it. Your first jump lands you on a first platform where you are met there by a guide and when hooked up again. In total you actually have to leap three times before you get to the final station and are lowered down to the jungle floor.